For you, this is very good news: It means more options, fewer limitations and, best of all, lower prices. Whereas once you had no choice but to buy a subsidized phone from a major carrier, then pay a hefty fee every month for two full years, now you can choose from a variety of inexpensive handsets, get service from a smaller carrier—a mobile virtual network operator, or MVNO—and enjoy contract-free service at significantly lower rates. Most of them do this by leasing Big Four bandwidth and tweaking the typical monthly-plan formulas. Ting, for example, charges you based on your consumption, while Republic Wireless will refund you for unused data. Some carriers leverage tech like Wi-Fi and voice-over-IP to offer lower rates. And most let you bring over an existing phone, which is great if you’re looking to extend the life of a handset that’s already bought and paid for. Bring your own phone, or use theirs? Suppose you have an iPhone 5S that just reached the end of a two-year contract with AT&T. It’s a common misconception that you need to stay with the same carrier and pay the same monthly rate. The concept of Bring Your Own Device (BYOD) is now the order of the day—all carriers are now required to unlock their devices upon request, so you can take your post-contract phone to any compatible carrier. In other words, you can shop around. The beauty of the unlocked, contract-free phone is that you get to choose a carrier with the price and plan that suits you best. And if you find a better deal down the road or you’re not happy with the service, it’s a simple matter to switch. Sounds great, right? Here come a few caveats. For starters, MVNOs don’t always deliver the same features and coverage as their Big Four brothers, despite operating on the very same networks. Virgin Mobile, for example, lacks the nationwide roaming coverage afforded by Sprint, meaning voice calls from the boonies might cost you extra. And Cricket Wireless charges Android users extra for its mobile-hotspot option—and doesn’t offer it at all for iPhone owners. Then there’s data. All the “starting at” prices listed in the carrier descriptions that follow include at least some data in their plans. However, as is the norm these days, virtually all the carriers will cap your throughput at a certain point, giving you X-amount of 4G speed and then dropping you back to a slower rate of throughput (usually something akin to 2.5G, but this isn’t always specified). In other cases, your plan might include only, say, 500MB of data, after which you’d have to pay per-megabyte overage charges. How much data do you really need? That can be hard to judge. Back in 2013, a Nielsen study pegged average U.S. smartphone use at just 733MB per month. By the end of 2014, that number had skyrocketed to 2GB. And in the first quarter of 2015, it was up to 2.5GB, according to industry analyst Chetan Sharma. 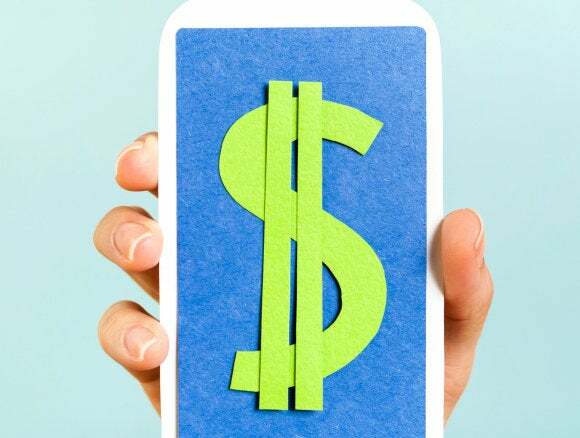 If you’ve never tracked how much data you consume in a month, or you know it varies a lot, you might want to consider a carrier that offers pay-as-you-go billing, rollover data or a refund for unused data. Make sure, too, to read all the fine print. Does your MVNO include things like picture messaging? RingPlus, for example, charges extra for each MMS you send. And what about porting your number? There might be a fee. 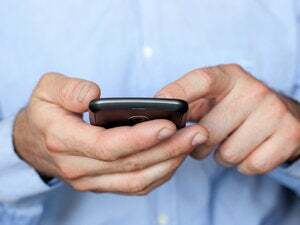 A few carriers, including TextNow, have problems handling short-code text messages, which are used to deliver everything from Amber Alerts to airline boarding passes to Starbucks deals. Figure out what’s important to you and what you can do without. One thing is certain: With so many competitors in the phone-carrier biz (including a number of smaller and/or regional companies we didn’t cover), you have options for just about every budget and preference. The 17 MVNOs below represent a great cross-section of both new and established carriers; we chose them as representative of the industry as a whole. Boost is one of the oldest and largest no-contract carriers, a Sprint-owned service that offers “growing” data plans: You start out paying as little as $35 per month (or $30 with auto-pay) for 2GB, and get an extra 500MB after three on-time monthly payments (capped at an extra 3GB). Or you can just opt for $60 per month for unlimited data. Boost sells a wide variety of phones, from low-end Android handsets to the iPhone 6S Plus. In the past, you had limited options for bringing your own device, but the carrier now supports a sizable list of Sprint phones. There’s also a referral program, some added perks for deployed members of the military and unlimited music streaming (meaning it doesn’t count against your data allotment) from services like iHeartRadio, Pandora and Slacker Radio. Consumer Cellular’s voice plans start at $10 monthly (which includes only pay-as-you-go voice minutes), while data options start at just $2.50 (for 300 texts and 30MB of data). In the interest of keeping things simple for seniors, there’s no mention of techie specs like data speeds—though a rep confirmed that 4G-capable phones will get 4G service. Consequently, this could be an attractive option for users who spend most of their time connected to Wi-Fi or who simply don’t make a lot of calls. Following its merger with Aio Wireless back in 2014, Cricket Wireless quickly established itself as a major MVNO player. The carrier offers competitive pricing for individuals, with $5 per month discounts when you set up auto-pay, and an even better deal for groups: five lines for $100 monthly. That’s for the Basic plan, which includes 2.5GB of LTE data per line. If you bump up to the Smart plan, either individually or as a group, Cricket throws in unlimited international texting; unlimited talk and texting to and from the U.S., Canada and Mexico; and no-extra-charge data in Canada and Mexico. However, a mobile hotspot adds $10 per month, and for the moment the feature is limited to about a dozen phone models. FreedomPop’s claim to fame: free service. Whether you bring your own phone or buy a refurbished iPhone 5S or Motorola Moto E ($279.99 and $149.99, respectively), you’ll get a monthly stipend of sorts: 200 voice minutes, 500 text messages and 500MB of data. If you hit those caps, extra data runs 2.5 cents per megabyte and a penny per voice minute or text message—competitive rates all around. There are also monthly and annual plans for users who want unlimited calling and messaging and more data. But FreedomPop has an almost user-hostile website: It provides no information about phones, plans or coverage unless you first enter a ZIP code and email address, and even then, it’s extremely difficult to browse the available options. In addition, its phone service relies heavily on voice-over-IP rather than cell towers, often with mixed voice-quality results. Assuming you bring your own device, however, you have little to lose (save for a $10 number-porting fee) by at least trying the service. And if you’re a fairly light consumer of voice minutes and data, this could prove an unbeatable deal. Hate the idea of paying a small fortune every month to a greedy, faceless corporation? You might feel a little better knowing some of that money is going to a good cause. Giv Mobile donates 8% of your plan payment to one of your choice of charities, including the American Red Cross, Alzheimer’s Association and United Way. Maybe the water reference in H2O Wireless’ name is a nod to the oceans that separate continents, because every plan the carrier offers includes unlimited international texting and unlimited calls to landlines in over 50 countries (with calls to mobile phones in “select” countries as well). Plans start at $30 per month (a bit less if you enroll in auto-pay), though that one has a hard cap of 500MB. The next tier gives you more data after 500MB, but only at 128Kbps. This may sound a bit stingy, but there’s a silver lining: H2O is among the few MVNOs to let you carry any unused data from one month to the next (banking up to 10GB maximum). Born over two decades ago and scooped up by T-Mobile in 2014, MetroPCS matches—and in some cases exceeds—many of its parent company’s offerings. For example, you can get an individual service plan for as low as $30 monthly. However, if you bump up to the $40 plan (still $10 less than T-Mo’s cheapest option), you get a 3GB 4G data allotment and Music Unlimited: Unlimited music streaming from over 40 apps, with no impact on that 3GB. MetroPCS also includes a mobile-hotspot option with all plans, as well as Data Maximizer, which optimizes streaming video for smartphone-size screens and saves data in the process. However, the carrier isn’t so generous when it comes to family plans, offering just $5 off per line. In that respect, T-Mobile definitely has the edge. Back in 2014, when we first compared carriers, the Big Four (AT&T, Sprint, T-Mobile and Verizon) weren’t doing much to compete against the “Small Sixteen”—the MVNOs we featured at the time. Things have changed. These days, it seems like every other week brings a new deal. Still under contract? We’ll pay the penalty when you switch! Like music? Here’s unlimited streaming that doesn’t count against your data plan! Got a family? Here’s a deal for four lines for $120. In fact, family plans are where the Big Four tend to have the biggest edge over MVNOs, offering generous shared “data buckets” and, in some cases, discounts for each line you add. Don’t want to spend that much up-front? No worries—the carriers offer leasing options so you can pay them off over time. That doesn’t include service, though, so make sure to factor that into your budget. Hmmm...suddenly you’re looking at $60 to $70 per month (or more) all over again. Sneaky Big Four! It’s true: You may feel like you’re paying just as much now as you ever did. But assuming you buy the phone outright, you’ll at least have the option of switching carriers without penalty. Which brings us back to the MVNOs, many of which offer cheaper monthly plans—especially for individuals. Even so, all four of the major carriers have lowered their prices in the past year while increasing their data allotments—and that’s definitely good news.